The Judge features many of the key elements that TIFF-goers have noted as plum ingredients for Opening Night. 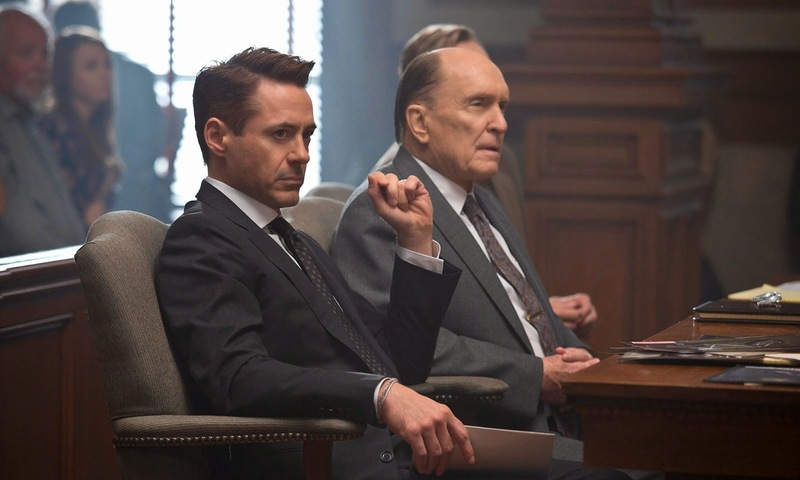 The audience-friendly film opens theatrically on October 10th from Warner Bros. Pictures and stars Robert Downey Jr., Robert Duvall, Vera Farmiga, Vincent D'Onofrio, Jeremy Strong, Dax Shepard and Billy Bob Thornton. The film is one of the titles from Tuesday’s announcement that Oscar watchers will keep an eye at the festival, especially for the performances from Robert Downey Jr. and Robert Duvall in the acting races. The film also marks a return to the festival for director David Dobkin, whose Clay Pigeons premiered at TIFF ’98, and perhaps notes a serious career-turn following a string of successful comedies like Wedding Crashers and Shanghai Knights. Synopsis: Big city lawyer Hank Palmer returns to his childhood home where his estranged father, the town's judge, is suspected of murder. Hank sets out to discover the truth, and along the way reconnects with the family he walked away from years before. *On a related note, I just learned that I received media accreditation to the festival this year, so it’s been a very good day for TIFF news! I’ll be contributing to Point of View again as I did during Hot Docs, so make sure to give them a follow!